We continue to march towards kick off of the 2017 HS Football openers and we are looking for those less than obvious choices of guys who will lead the Regions they hail from. The guys we want are the team leaders who can break a game open. At the QB spot, we now have a log jam of talent. There are no less than 30 recruits who can all make an argument to move on to college on a scholarship in the 2018 and 2019 classes. The guys who make it through will have massive stats and grades and the textbook arm. They will all be able to make reads and check off their targets in progression; they will be trained and prototypes. Nationwide our NW QB’s will be among the best of the best because that is what we do here in the NW, we make top QB’s and we are damn good at it. Size and speed at two things that do dictate who goes where. Those things are often God given and to go super high into the college recruiting game you need to have both or be at the top end of one, and all of the aforementioned skills. Over the River, in Camas, Washington they play football as well or better than anywhere else in the NW. The talent level is arguably as good as it gets and leading the way in this years QB group from Union High School is Lincoln Victor. The Junior to be just came off a top finish at the NW 9 QB challenge which will be on Root Sports soon. 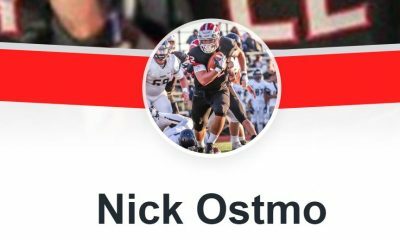 He proved himself a worthy fit amongst the regions best including 4 Star UW commit Dylan Morris (2019 Graham-Kapowsin- UW Commit), 4 Star Michael Johnson Junior (2019-Sheldon- Ranked #1 in Nation), 3 Star Casey Bauman (2018- Nooksack Valley-Montana State), and Simon Burkett (2018-Meridian – EWU Commit). At 5’11”- 170 lbs Lincoln is not quite there size wise. But as a dual threat QB he has the speed to hang with the best in the Nation. His 4.5 40 speed shows up on film, no doubt about it. This is backed up by an 11.3 100 Meter which will be in the 10’s by the time he graduates in 2 years. He started all season in 2016 for the Titans and posted 1,600 yards and 18 TD’s in his Sophomore Campaign. With the return of high touted RB JoJo Seofele and the transfer of the top WR in the Pacific NW in Darien Chase, these Union boys have some serious talent to work with. This already solid team in the hands of a field general like Victor can do some great things this season. In this crowded space, this QB has a bit of a chip on his shoulder. “Yeah as of right now I’m very underrated I feel. No schools are talking to me as of recruiting wise yet. I’m super excited for this season we have a lot of potential and this will be my biggest year. I have a lot of athletes to get the ball out to. 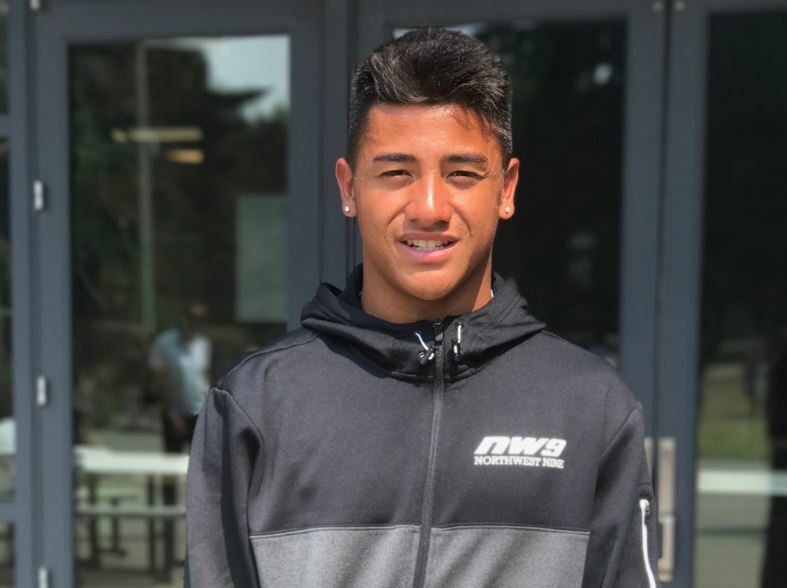 Some of the guys on the team that will stand out are Jojo Siofele, Darien Chase, Aiden Nellor, Riley Miller…just to name a few,” said Lincoln. 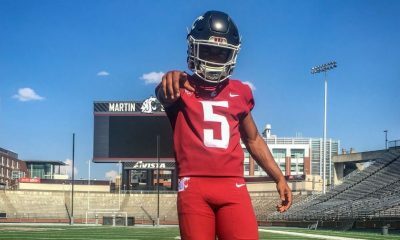 He finished very well the NW 9 and he felt like he gained respect as a true QB and not just an “athlete” which fast guys like him often get labeled. 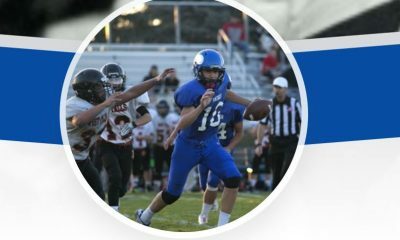 He gave major Kudos to Taylor Barton, Jake Heaps, Domenic Rockey, and Tracy Ford for helping him develop his game in the offseason. We have covered Zion Faaopega from Union and JoJo Seofele in years past. Chase is going to be a problem for anyone that matches up against him and he and Victor should be quite a duo the next 2 seasons. This kid is fast coaches. Yes he is an “athlete” and can play defense and any number of positions. Used properly, however, this young man has the skill set and real speed to go all the way. Awesomeness! Go get em’ Lincoln!